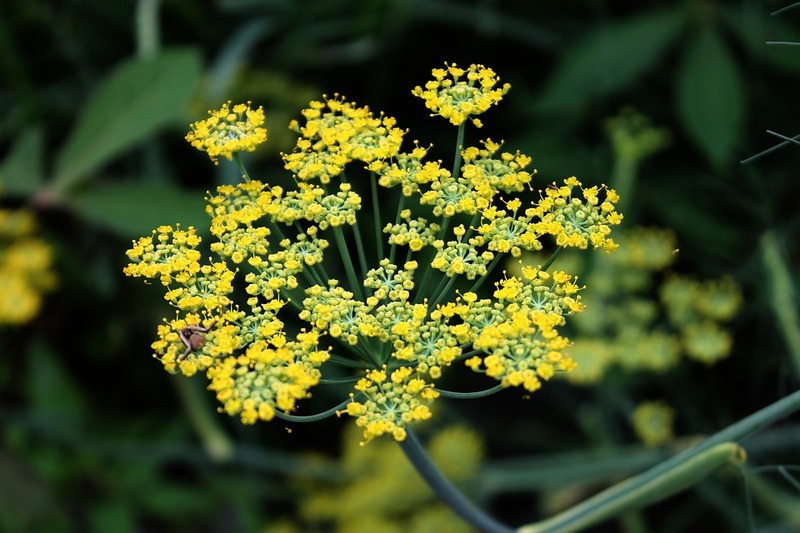 If you're planting your first herb garden, the choices can be overwhelming. Below you'll find the ones I wouldn't want to be without, in order of importance from top to bottom. They can go in containers on the deck, or be tucked into the soil. They'll love sun and good drainage, and give you lots of enjoyment. In my area (zone 6b) most of these herbs will be replaced each spring, and it will cost well less than $50. If you use these herbs in cooking, it will be a tiny investment on enormous flavor, and all of them have great health benefits, too. 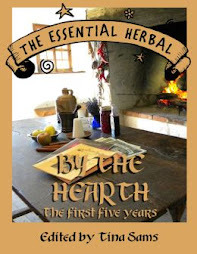 It's always hard to separate herbs into categories such as culinary or medicinal. Most of them cross-over. 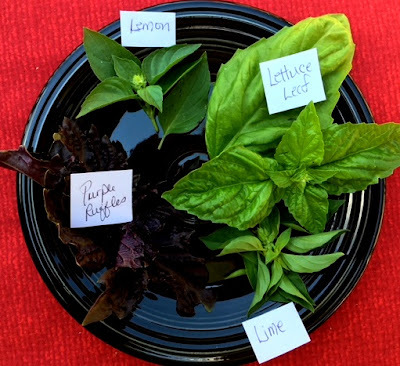 These are easy to grow and will bring a fresh, delicious sparkle to your dishes. Parsley - Parsley is probably the first herb people new to herb think of when we talk about culinary herbs, that sprig on the side of the plate. Once you grow it and have it fresh and handy at all times, it can be sprinkled into nearly every meal. Pasta, potatoes, stews, soups - there's almost nothing that doesn't benefit from a little spiffing up with chopped parsley. Pour boiling water over the bulgur and let set 30 minutes or until soft. Drain off excess water. Combine bulgur with remaining ingredients and mix well. This is a great end of summer salad which will supply you with plenty of vitamins and minerals. Enjoy. Since dried parsley has little taste, enjoy it now with all your garden fresh foods. Dry some however to use on your skin this winter! Thyme - Like parsley, thyme is super easy to learn to cook with, because it's fairly mild in taste, but takes the flavor of dishes up a few notches. From scrambled eggs to hearty chili, and everything in between, thyme is usually a good choice. 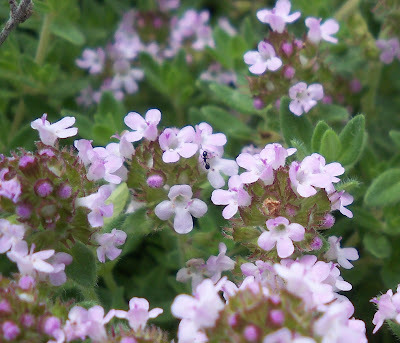 Thyme is also a terrific herb to eat regularly because it has so many great health benefits. It helps us stay healthy, and fights all the things that try "bug" us. There are many different cultivars of thyme. Lemon flavored, variegated, elfin (miniscule leaves) and on and on. Go for the regular garden thyme that is deep green with narrow 1/4" to 1/2" leaves. It is considered perennial here, but mine tends to wander off or doesn't make it through winter, so it is replaced pretty often. It's worth it. 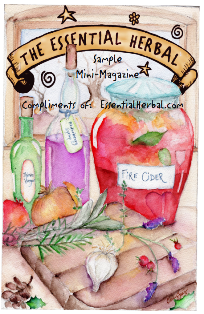 Thyme tea is also great in the winter to ward off illnesses. Basil - There are so many basils, and I can't ever choose just one. Last year I tried the "lettuce leaf"in addition to my usuals, and found it to be great on sandwiches. Any dish that would be good withgarlic and parmesan can usually stand some basil. Lots! 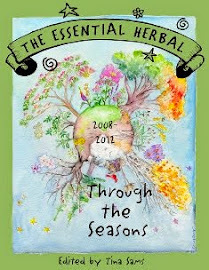 All of the herbs listed here are very fragrant, meaning that they contain essential oils. Eating them will provide you with the perfect amount. They all have antibiotic properties, among other really healthy benefits, so eat up! Basil is an annual and they all need to be planted new each year. Rosemary - Although there are supposedly varieties that will survive here, it's a 50/50 proposition. It's worth replacing when it dies. The flavor of rosemary is amazing. A nice sprig of rosemary under a chicken while it roasts will infuse the meat with that flavor. It's delicious in roasted veggies, and I've enjoyed it in shortbread, too. 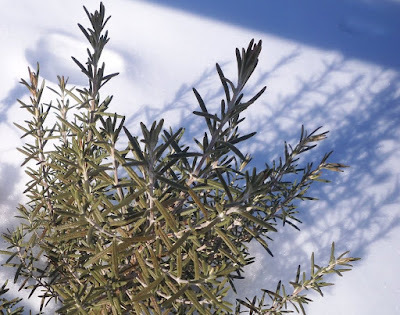 Many people plant rosemary in containers that they can bring inside over the winter, keeping it in a semi-dormant stage in the garage or basement. I am not good at that. It is easily dried for use over the winter. I planted cilantro once and it has always reseeded every year. 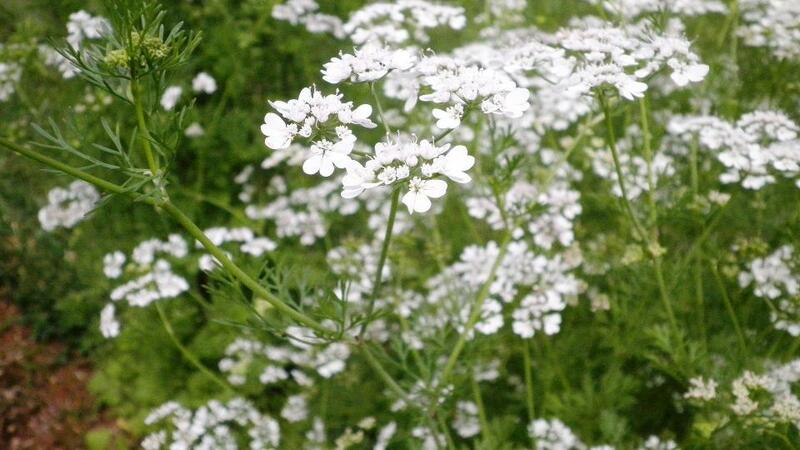 The seeds, by the way are the spice known as coriander. I do save some of them, but leave the rest to grow the next year. 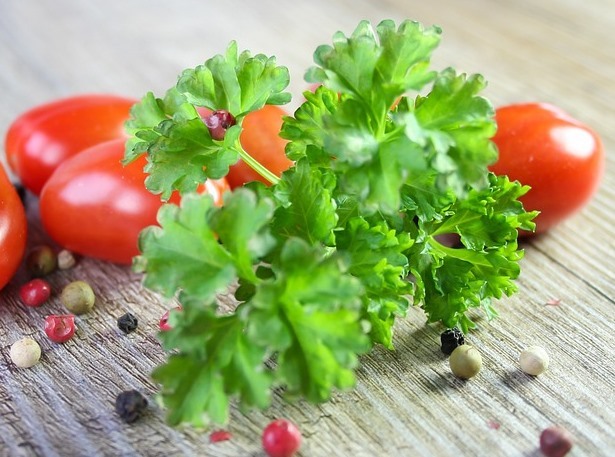 Cilantro is a refreshing lively taste and it makes salsa and Mexican dishes come alive. This cucumber lime salsa recipe made my sister like cilantro for the first time. 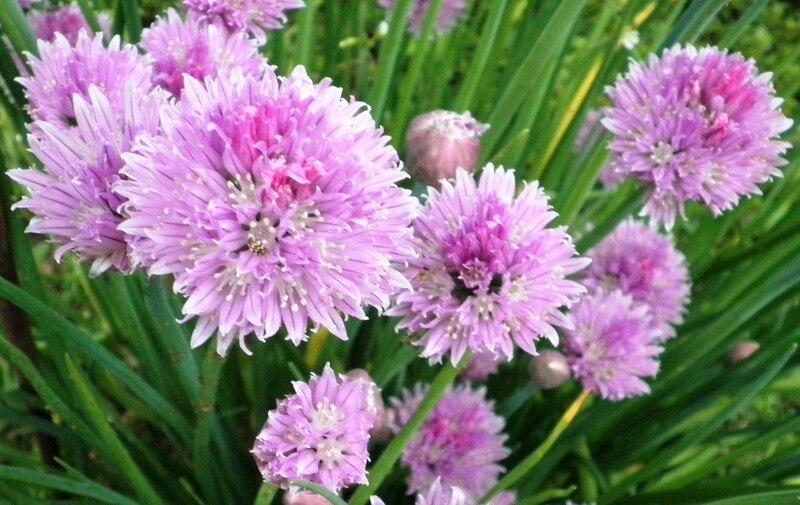 Chives - For a nice mild onion-y flavor that also provides a beautiful decorative element to dishes, chives are a plant to have around. The hollow stems are sliced into rings, usually, and most people have seen them sprinkled over sour cream on a baked potato. They're good in salads, eggs, breads, and many places where a little onion would be tasty. The blossoms are edible and beautiful. They grow from little bulbs, and usually do come back each year. They're about the first thing to poke out of the dirt in the herb garden each spring, and that alone is worth planting them. All of the alliums (chives, onions, garlic, etc) share the healing properties that we attribute to garlic, but in different levels. Chives are good for you! 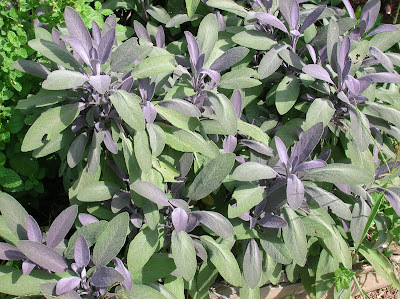 Sage - Sage is strongly flavored, and most people are only familiar with sage at Thanksgiving. It is surprisingly delicious in a tea, and the leaves fried in butter are crazy good. It isn't quite as versatile as the others because of that strong flavor, but it's good to have around. Make some vinegar with it. 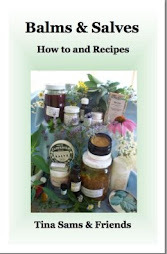 You can use that in salad dressings or to help dry up skin rashes! Rich, thick stews or roasts are complemented with sage, and it's a natural with winter squash. There are several varieties that are typically used. Garden, Bergarten, Purple, Tri-color, and Golden are the most common. Sages are generally perennial. Too much moisture around the roots will kill them, though. 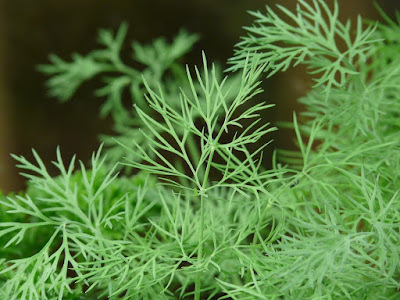 Dill - The fresh flavor of dill is a little addictive. We get so used to the flavor as a pickle that it can be surprising how good it is without the vinegar. In potato salad or deviled eggs, cooked with fish, and in just about any type of salad, dill peps things up. It's an annual that often reseeds for the next year, and also a favorite of butterflies. Dill tries to bolt from the minute temps are warm enough for it to grow well. Keep after it so it doesn't bloom to have a longer growing season. This dip is a favorite of ours. Mix all ingredients together. Refrigerate for at least a couple of hours to allow flavors to blend. Delicious with crudites (I especially love it with carrots). Fennel - The anise flavor of fennel is bright and mild, with the seeds being a little stronger. The bulbs that grow above ground sort of like celery are so good sliced crossways and mixed with orange sections, chopped red onion, olive oil and lemon juice. It usually reseeds from year to year. Try some or all of these. You'll be glad you did! 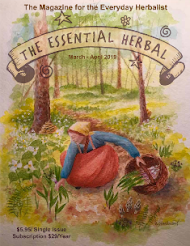 Stay tuned for part 2, where we'll talk about medicinal herbs for the new gardener!